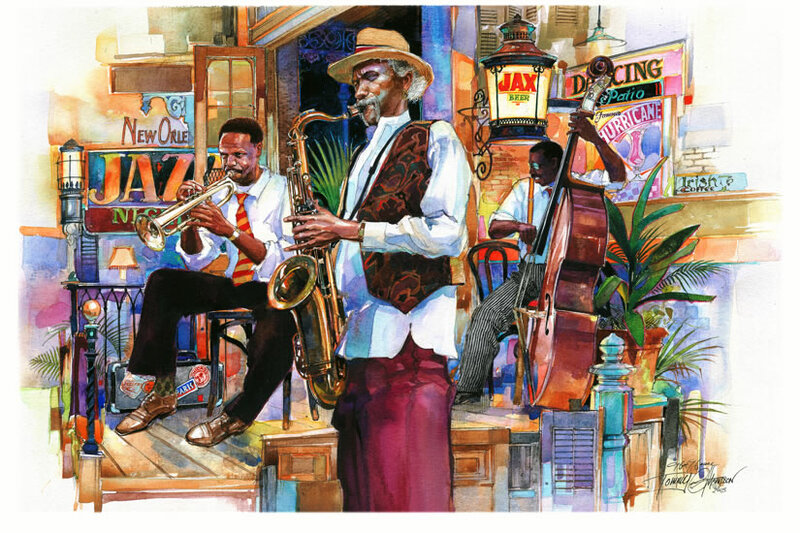 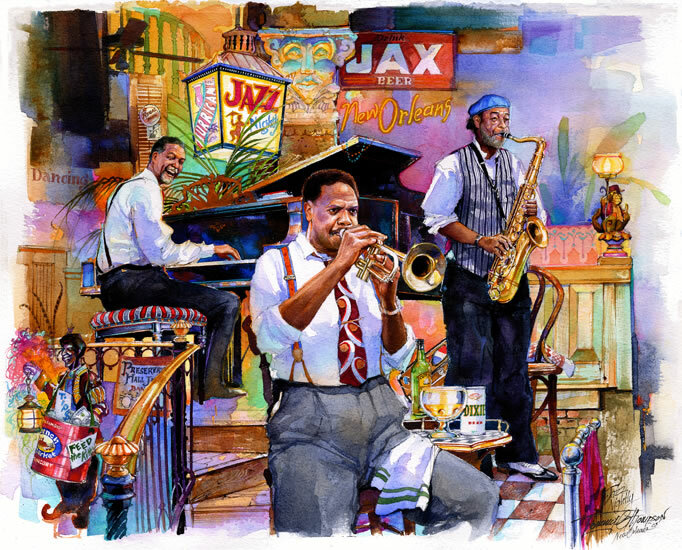 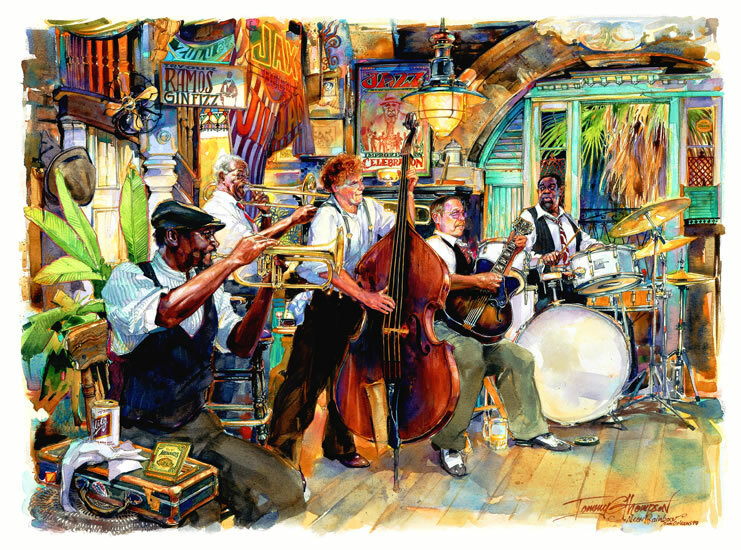 Actual Image size: 15" x 21"
Print Paper Size: 17" x 22"
Original Media: Mixed, pen & ink with acrylic/watercolor wash.
Sammy Alcorn and some of his friends and jazzers from Bourbon Street are bringn' home some fine southern jazz. 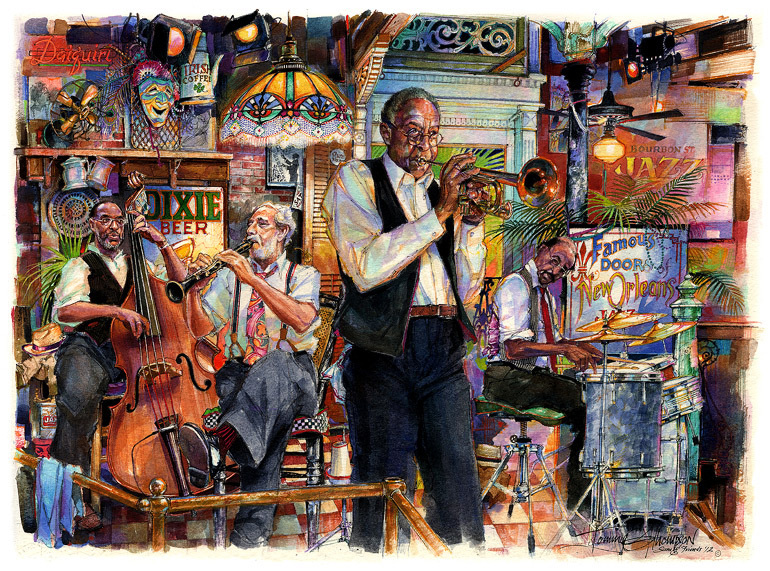 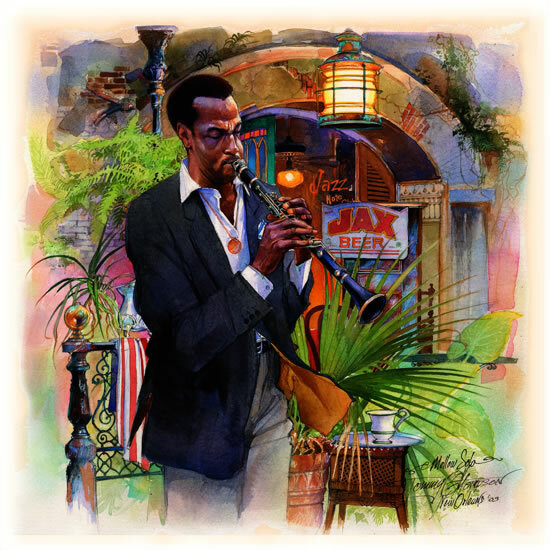 Sam was a familiar face on the jazz scene in New Orleans. 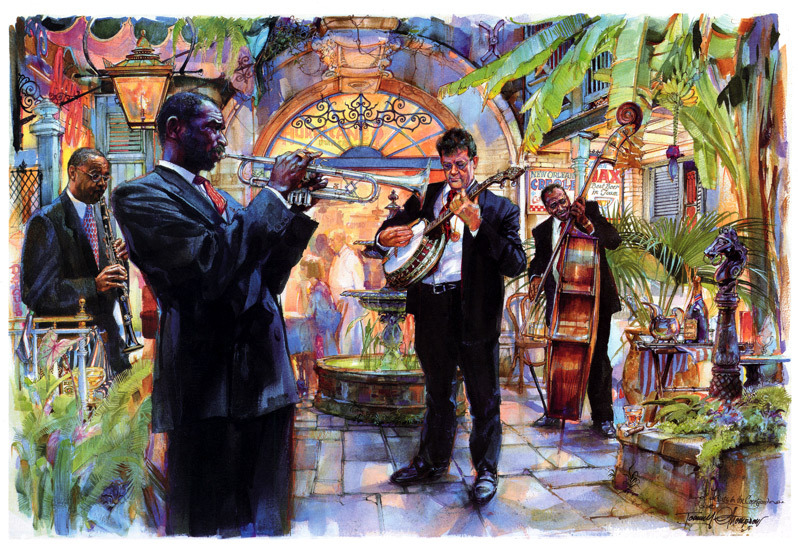 The night depicted was a wonderful time with great jazz and friendly conversation with Sam. 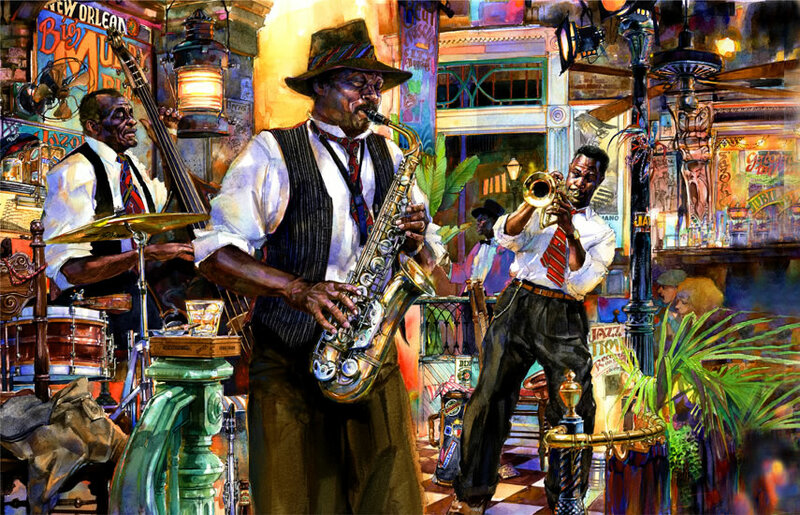 I hope it brings back the music and good times in New Orleans for you too.